The department is well equipped with a +spacious practical hall for the undergraduate students, a seminar room for the postgraduates, museum displaying numerous dental anatomy and oral pathology specimens, departmental library having books of latest editions. The histopathology lab has the facility for tissue processing procedures and special staining techniques. 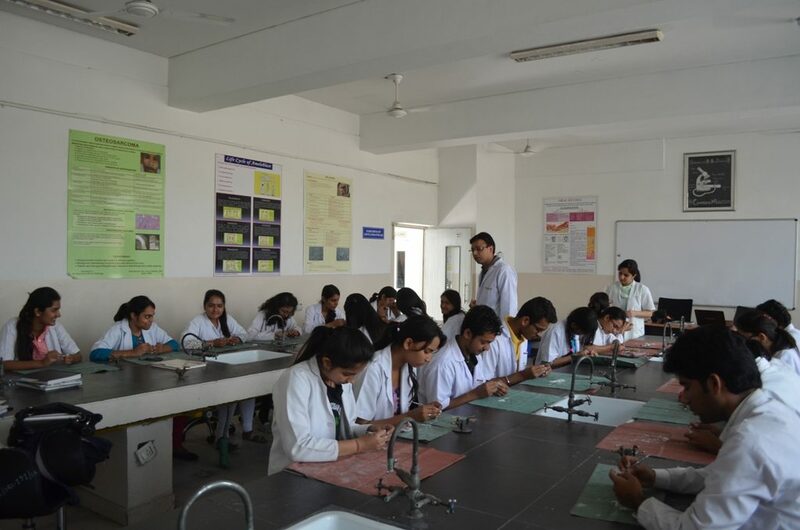 An array of modern equipment like research microscope with phase contrast, polarizing, fluorescent, photomicrography attachments, multi-viewing trinocular microscope with digital camera for slide discussions. The department has a separate library with true prints of more than 50 reference books and latest national and international journals (pertained to the department) required for the MDS and BDS courses.